Last week I wrote a post about my nine month plan to better myself mentally, physically and spiritually over the course of the next nine months. I am really excited about this journey and look forward to seeing where I am at the start of 2014. So what do these goals mean and why am I doing them? Practice the 8 hour diet: This diet program is relaxed in what I can eat but restricts the window of time for me to consume food making it a perfect lifestyle change. I decided to add it to my routine after GQ, my brother in law, told me about it. I am not trying to lose weight with this diet but wouldn’t mind dropping 5 pounds (I feel like everyone is always looking to drop ‘just five pounds’) but that’s not the overall goal. I am using it as a way to prevent random snacking (the curse of the graduate student), to learn what my body truly needs for nourishment and to understand when I am actually hungry versus when I need to drink more water. Update: So far, the fast has been challenging. I decided to go with the 5 day option but chose the wrong 5 days. I chose the weekend to be my rest days because that’s what many recommended and to participate in the fast during the week. That plan is not really conducive for my life. I am going to make Tuesdays and Thursdays my rest days because they are my longest days and I miss eating dinner with my hubs. My Tuesdays and Thursdays start at 9am and is jammed packed until 7:10pm. I try to eat or juice before going to campus which means I eat at 8am and I’m supposed to stop eating by 4pm. That is really hard for me because by 8pm I feel like I am starving and usually get cranky. Being upset and cranky isn’t the point of the fast so I am modifying my original plan to fit my needs; Tuesdays and Thursdays are rest days and Saturdays and Sundays are fasting days. Hopefully this switch will be better for me. Practice yoga daily: I have recently gotten very into my yoga practice and love what it has done for my overall outlook on life. 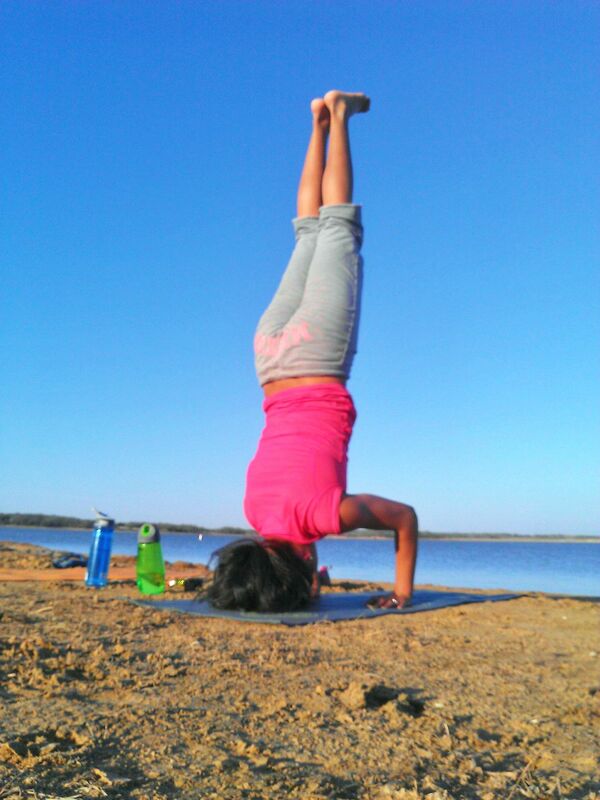 I started the year practicing yoga once a week, then started going to class twice a week. Next thing I knew I was going everyday during the week plus visiting a hot studio in town to practice on Saturdays. I quickly became obsessed and am at the point where I need to practice everyday. I want this to be a part of my life forever and the first step is to ensure I practice daily and keep pushing, discovering, and loving myself. Write in a journal everyday: As a child and up until my third year of high school, I wrote in a journal everyday. I was really into it. Last year during our move to Oklahoma I found a couple of my old journals. I found awesome things in there and enjoyed reading what was important to my 13 year old self. I found the list of things I wanted to accomplish before I turned 25, which is this year (this is a part of the reason I am training for a half marathon and will hopefully run a full marathon in October– my 25th birthday month), a list of my dream husband traits (let’s just say I was a shallow kid but my list had some good things in it also and D-Money actually meets my 13 year old self expectations), and my bucket list. It was a joy reading about my feelings and emotions and seeing the world through my young eyes; I teared up when I read about 9/11 from my words. I want to reconnect with that side of myself; the side of myself that thought what I had to say and experienced was important enough to write down. I want to keep track of my history through my voice. These are the three things I am working on for the month of March and I will update my progress (or lack of) at the end of the month. I hope everyone has a wonderful weekend and that your weather is as lovely as ours has been. Next week is my spring break but mine got started a little early thanks to a class cancellation yesterday. 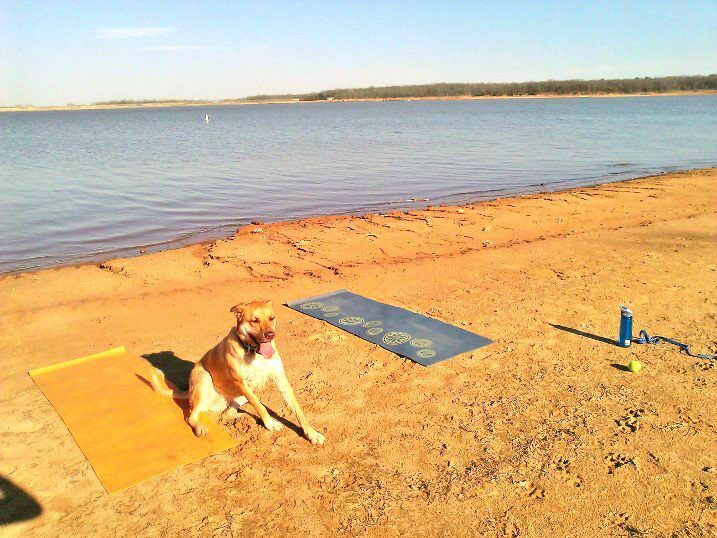 D-Money, Nala and I enjoyed our 80 degree weather and new found free time at the lake with some yoga. It was a refreshing way to spend the afternoon.